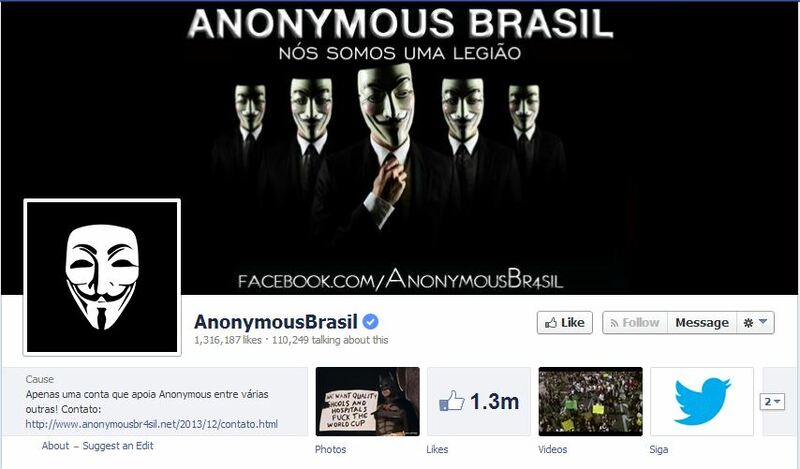 The Anonymous Brasil Facebook page has received a ‘verified‘ status on Facebook. The Brazillian Anonymous hacktivist page currently holds 1 300 000 (1.3 million) likes. The hacktivist page reports on various hacking and security events. The cybercriminals will use the FIFA World cup to infect unaware people with malicious applications. The hackers will install point-of-sales malware, and they will use remote administration tools to administer their infected victim devices. Various security companies have published a Fifa World Cup 2014 report which clearly states that hackers and cybercriminals will initiate cyber-attacks on unaware people during the Fifa World Cup 2014 event. The Anonymous Brasil community is massive, they hold 23 300 (23 thousand) followers on Twitter. They have a total of 170556 people following them on the Google+ social media network.